Abraham Lincoln will be the subject of the first lecture in a U. of I. series commemorating the state’s bicentennial. Later lectures will look at the story of Chicagoan Emmett Till and the early history of Mormonism, much of it set in Nauvoo, Illinois. 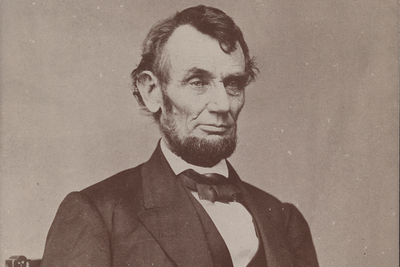 Photo by Matthew Brady, 1864; courtesy Library of Congress. CHAMPAIGN, Ill. — Abraham Lincoln’s ungainly looks, unusual height, his jokes about his appearance and his public accessibility – and the significance of all that in how he’s been viewed – will be the subject of an Oct. 4 lecture at the University of Illinois. Richard Fox, a history professor at the University of Southern California, will speak on “Taking the Measure of Lincoln’s Body, in Death and Life” at 4 p.m. in the Knight Auditorium of Spurlock Museum, 600 S. Gregory St., Urbana. The event is free and open to the public, the first of four in the Illinois Bicentennial Lecture Series. Fox is the author of the 2015 book “Lincoln’s Body: A Cultural History.” He will discuss how Lincoln was known in his day as much for his physical frame as for his words, deeds and character – and how he knowingly used it. “His body added materially to his public reputation and his self-conception,” Fox said. Lincoln also made his body accessible in ways that others saw as risky, Fox said. One notable example was his walk through the Confederate capital of Richmond, Virginia, just days after it was taken by Union forces – and only 10 days before his assassination. Fox’s previous books include “Jesus in America: Personal Savior, Cultural Hero, National Obsession” and a biography of the influential theologian Reinhold Niebuhr. The remaining lecture has yet to be announced.